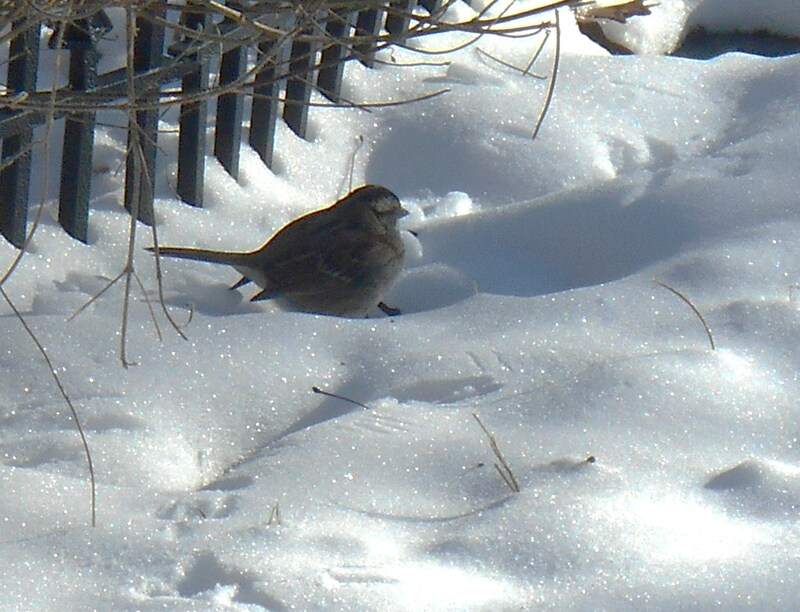 Snow began falling late yesterday afternoon, after a day of wind and plummeting temperatures. “Adam’s Needle” the day after the snow. It began in the half-light an an early dusk, and continued on into the night. Our lawn turned shiny white within the first hour. 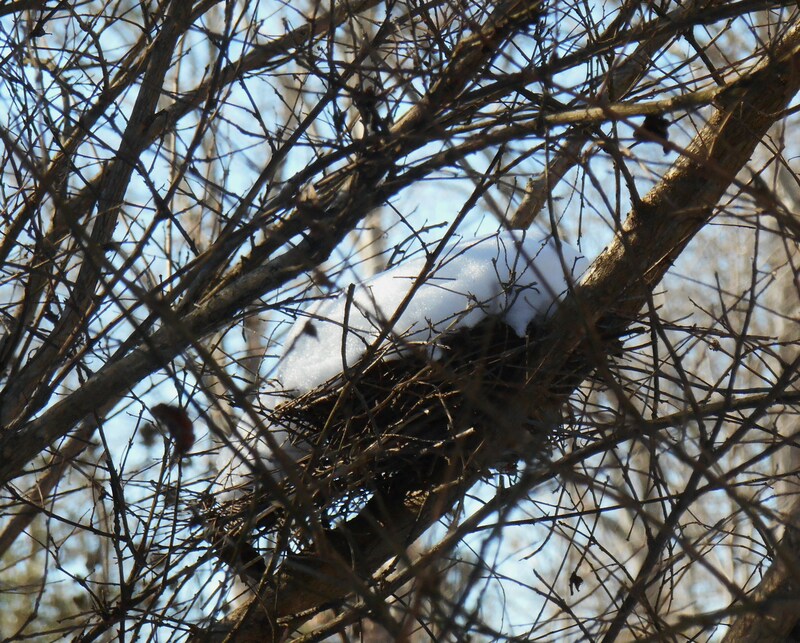 The nest in the Crepe Myrtle tree, left from last summer is now filled with snow. We chose to leave up the Christmas lights on the deck and front shrubbery in hopes of snow, and were not disappointed. They illuminated the snowy night. 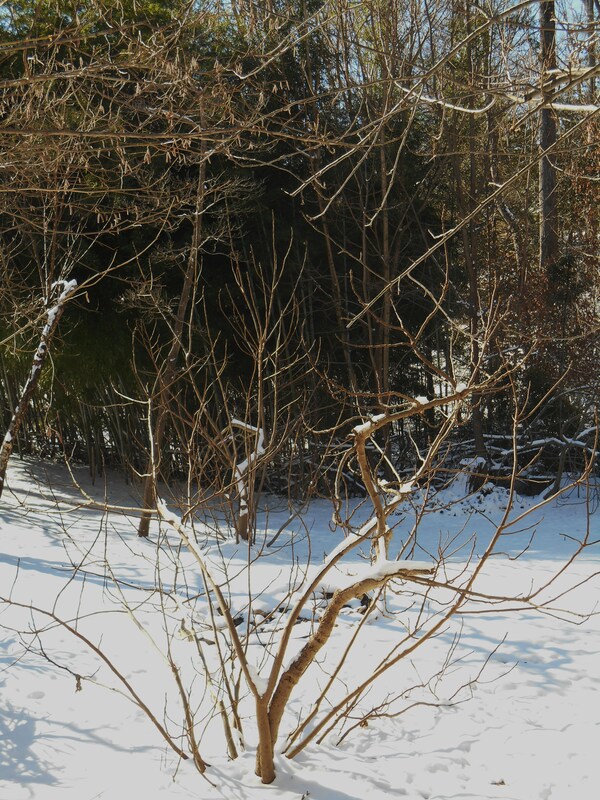 The shrub in the foreground is Beauty Berry. You may remember it covered in tiny purple berries this autumn. Beautiful even in winter, it will get a hard pruning sometime in the coming weeks. It blooms, and produces berries, only on new wood. 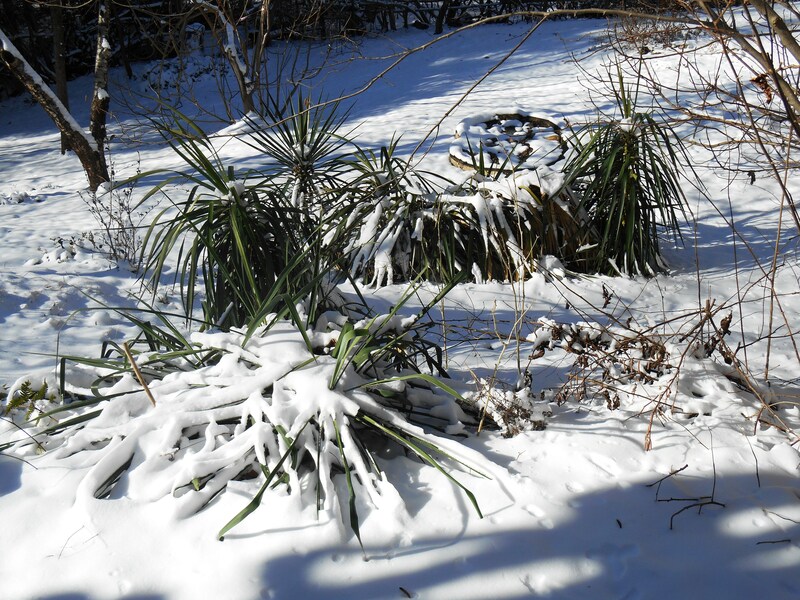 All trace of clouds cleared out sometime after midnight, and the sun rose early over a snow covered garden. This morning dawned clear and bright, even if still bitterly cold. A coastal storm, this snow stretches down into the outer banks of North Carolina much farther than usual, and up the coast to Maine. We ended up with about four inches here. 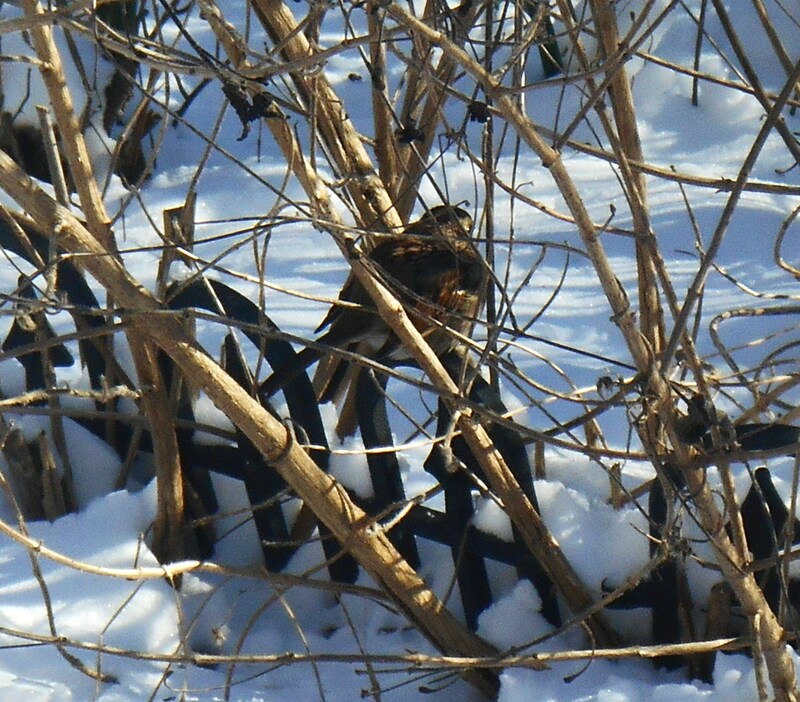 A few songbirds have returned to the garden, appreciative to still find seeds in the frozen Lantana bed. 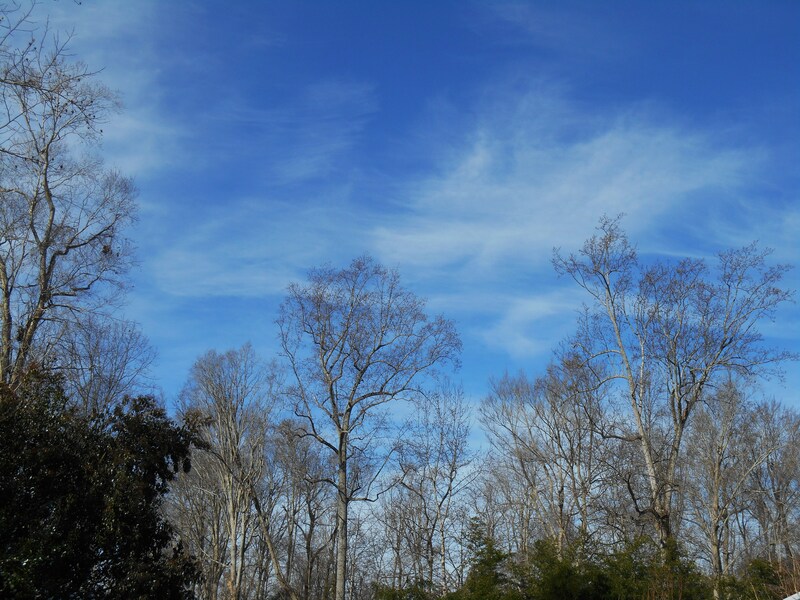 The bright sun is helping us clear walks and drive, but it won’t warm out of the 20s today. 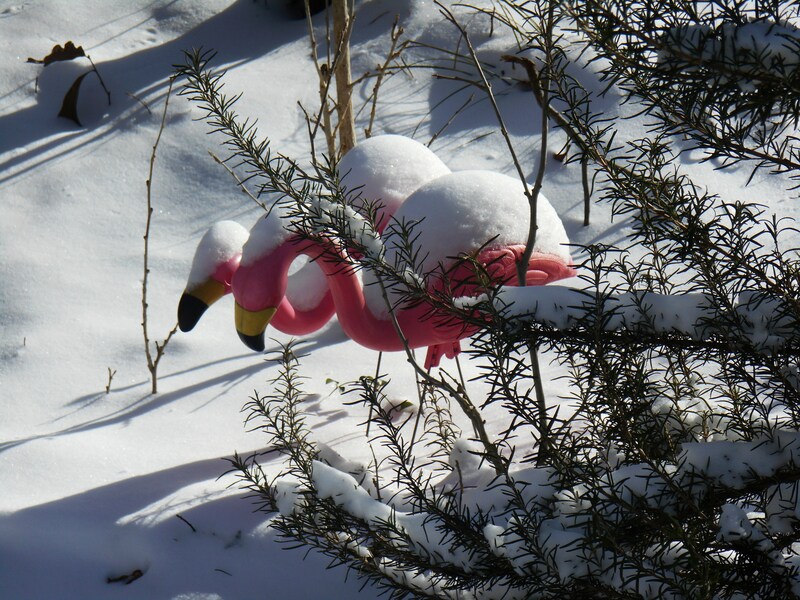 A general snow day has been declared across the entire area, with everyone cautioned to stay at home when possible. Virginia is like that, at least here near the coast. 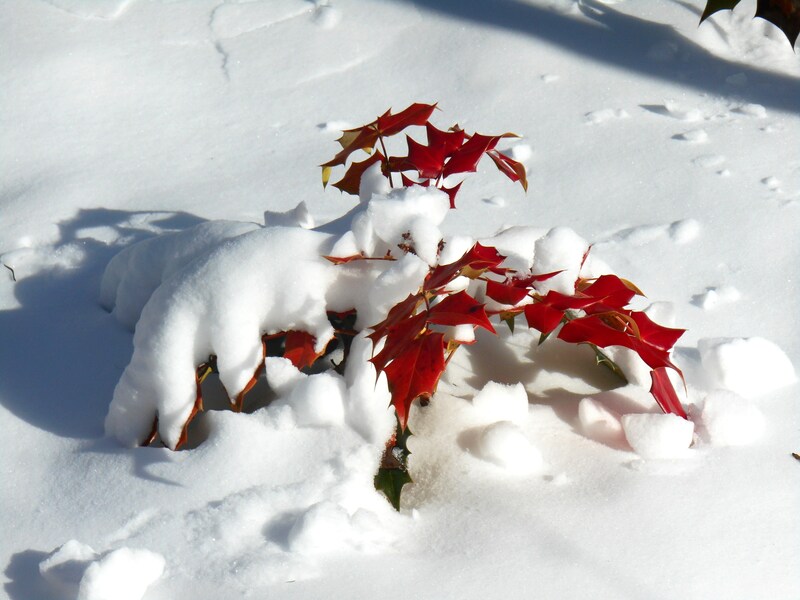 Since we don’t have snow every winter, and rarely have much fall at a time, we just aren’t prepared to handle it the way other communities might be. So, today is an extra day of vacation for many families . 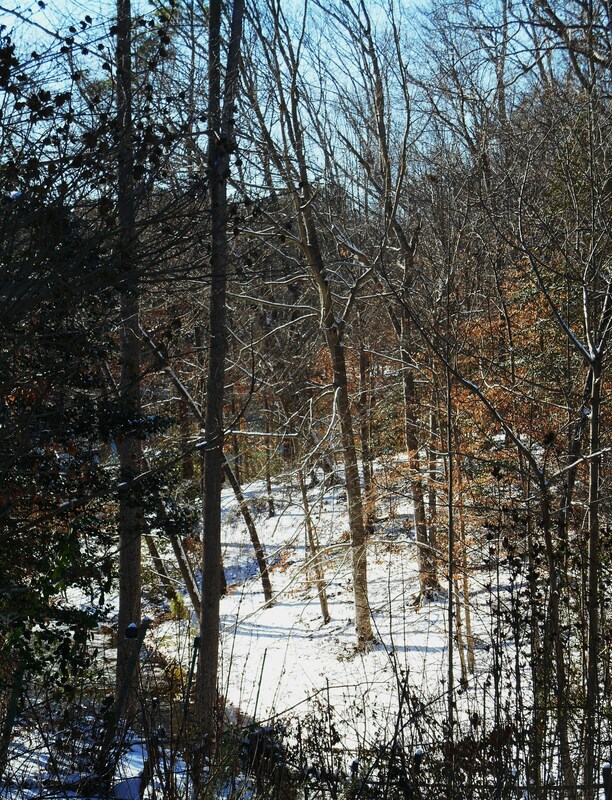 A beautiful snow day! 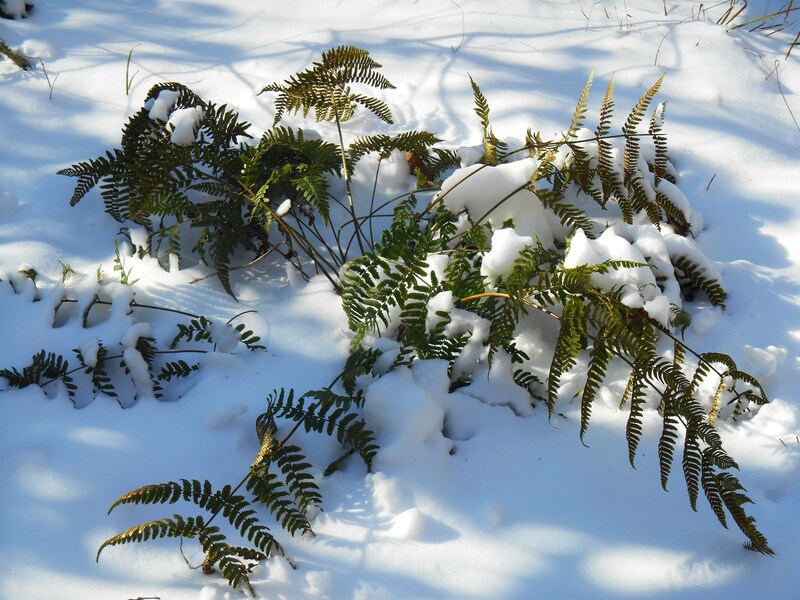 Autumn fern in our garden stands up even to this winter’s frigid temperatures and snow. Your snow is very pretty!